A perfect addition to your Virtual Pinball cabinet! SKU: vp04. Category: Virtual Pinball Parts. An traditional Bally/Williams style Ball Plunger, for those that want a more authentic look. Excellent quality and very robust, these will last more than a lifetime. 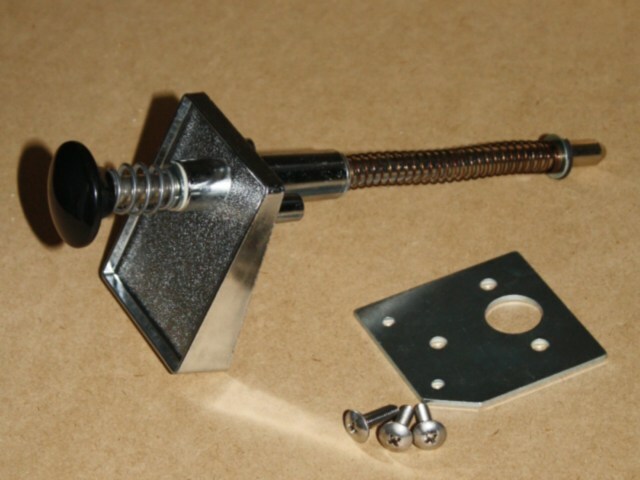 Comes with a backing plate and mounting bolts to provide a really solid installation. 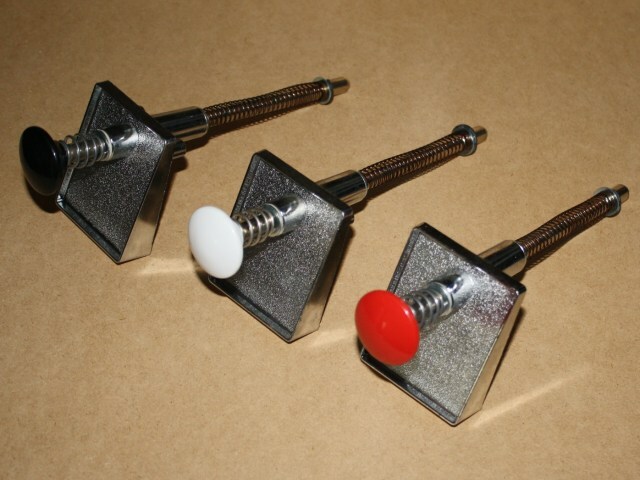 They are fitted with a Low Tension spring which makes them perfect for Virtual Pinball machines when using either a microswitch or our Pinball Encoder “Real Plunger” Interface. Available with a Black, White or Red knob. 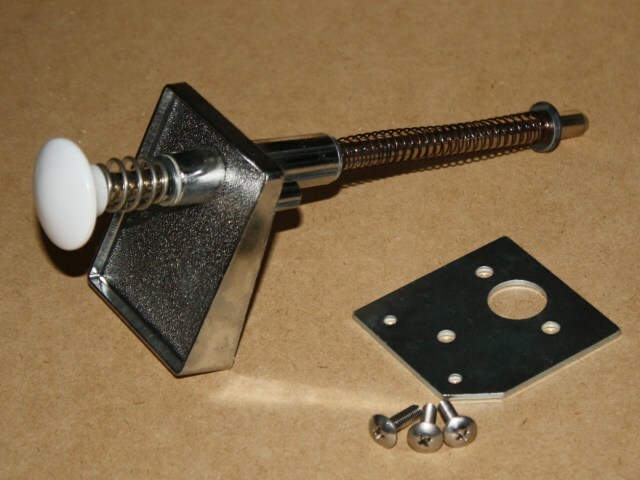 A coin mech style microswitch and right angle bracket, to adapt the plunger to work with Virtual Pinball software.